Many OnStar subscribers in North America are familiar with the OnStar RemoteLink mobile app – which allows users to access key fob services and vehicle information right from their smartphone. 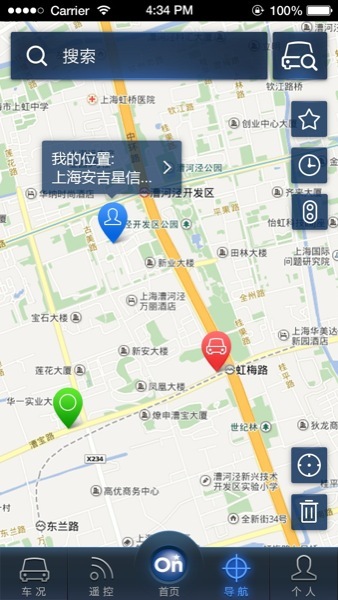 A similar app — appropriately called OnStar Mobile App — is available in China, and Shanghai OnStar, the Chinese division of General Motors’s OnStar telematics unit, just announced a redesigned version of that very app at Auto China 2014 in Beijing. The redesigned app features a redesigned User Interface and a series of improvements. 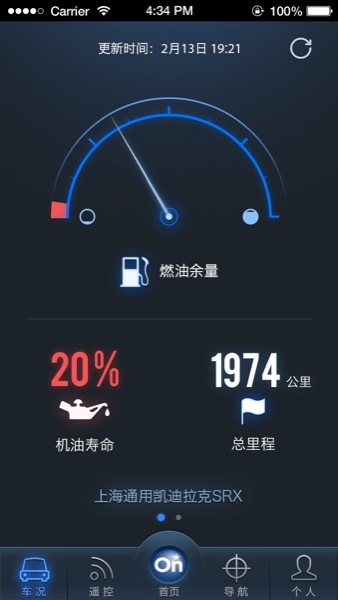 According to Shanghai OnStar, the new mobile app is the result of three years of innovation and feedback from tens of thousands of subscribers. It incorporates a new flat design language across all user interfaces, making it easier to read and use. Outside of changes to the user interface, the redesigned app also offers several changes that make it easer for customers to register and subscribe to OnStar services. For instance, the app now offers a faster process for subscriber registration, with subscribers only needing to verify their VIN or ID number. Meanwhile, vehicle owners who are not OnStar subscribers can become potential subscribers through the standard registration process, with potential subscribers being able to become regular subscribers at any time. The app also features a registration method that utilizes scanning and photos, allowing a subscriber to use the account number and password to log on to the Shanghai OnStar portal after successfully registering. The main page of navigation services in the new OnStar Mobile App. Underlining the vast popularity of the app is the following usage data: as of the end of March 2014, Shanghai OnStar had 230,000 mobile app users, and the app has been used more than 17.6 million times. The improvements to the OnStar Mobile App coincide with upgrades to the OnStar speech recognition system, which enables new services such as Traffic on Demand, Weather Check, and Dealer Promotional Information Query. 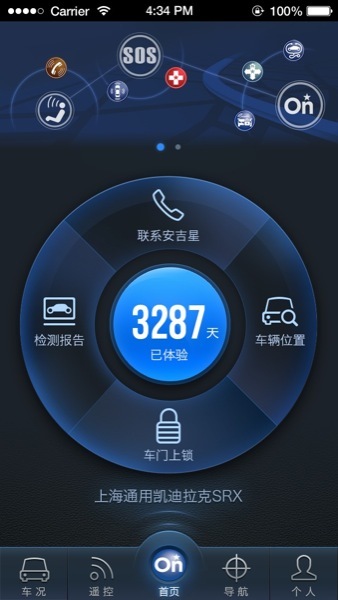 As part of its series of announcements at Auto China 2014 in Beijing, Shanghai OnStar also announced two new services: traffic on-demand and Vehicle Theft Alert. Any word if this new design will hit the US?